The perfect afternoon snack to tie you over between lunch and dinner. 1. 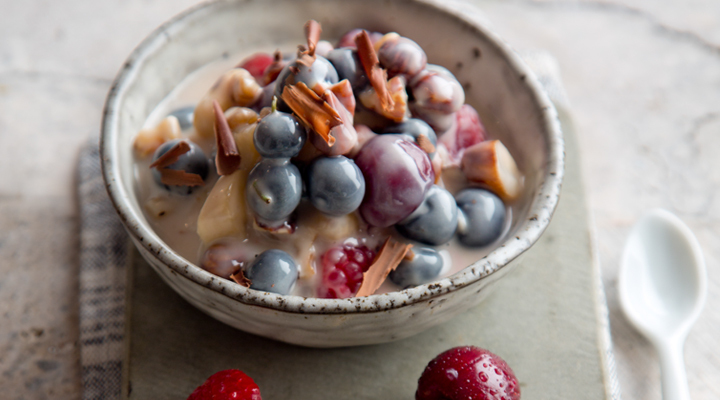 Place the Greek yogurt in a bowl and mix in the fresh berries, whey protein and chopped nuts. If using frozen berries, thaw them in the microwave for 1 minute before adding to the bowl. Finish with a drizzle of honey. Tip: For a little treat, grate a square of dark chocolate over the top.